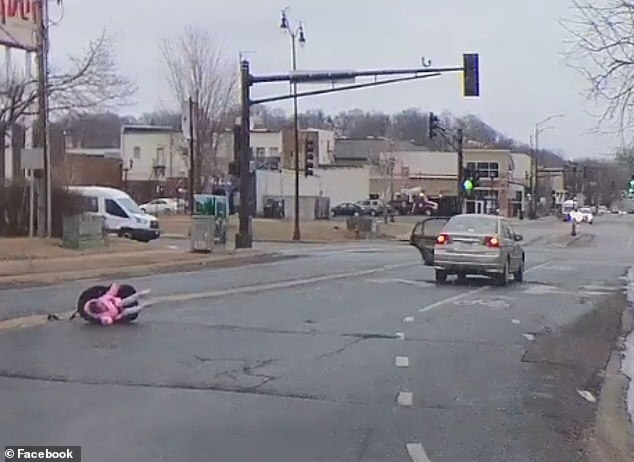 It showed the girl, who dressed in a pink jacket and gray tights, falling from car as it slowly veered around a bend in the road. The seat miraculously landed on its side and the girl did not appear to hit the ground. The car braked momentarily at the traffic lights a few feet away despite having a green signal. 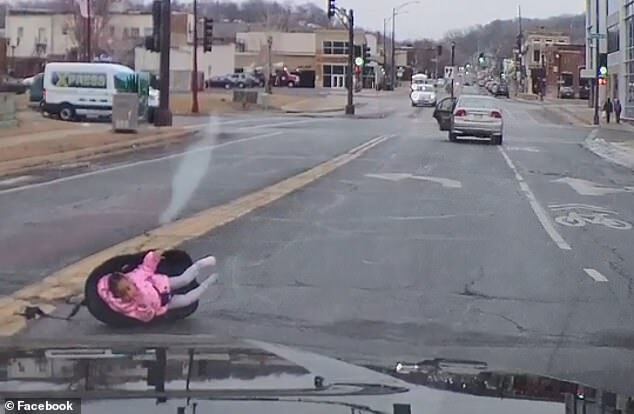 When the door of the car was shut, the car drove off and left the little girl in the middle of the road. 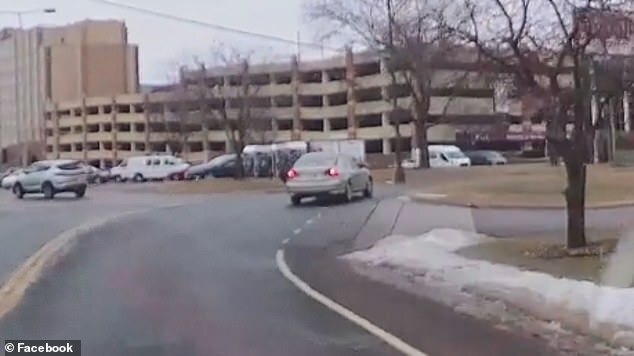 Mock was captured on his dashcam jumping out of his own vehicle and trying to wave down the mother. 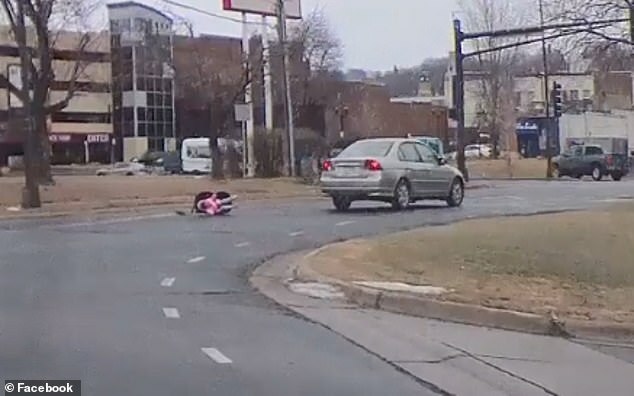 He stopped traffic so he could safely carry the child off the road in her car seat. First responders examined the little girl and found that she had not been injured in the ordeal. Police said the toddler was properly buckled in her child seat but the seat had not been fastened correctly inside the car. It is not clear how the car door managed to fly open. The girl's mother eventually returned to the scene 20 minutes later when she realized her daughter and the car seat were missing.